along a volcanic arc connecting Sumatra and Myanmar (Burma). e that has been the source of eruptions since the first was recorded in 1787. Lava flows reached the coast during several recent eruptions. Photo: D. Haldar, 1991 (Geological Survey of India). 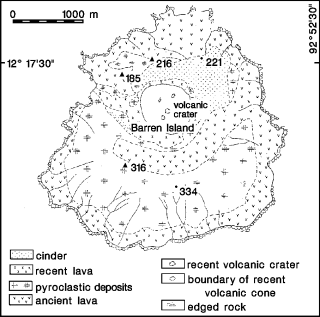 Geologic sketch map of Barren Island. By D. Haldar, T. Laskar, and J.K. Biswas. GSI. roughly 2-km-wide caldera with walls 250-350 m high. eruption a long, long time ago, that produced pyroclastic-flow and -surge deposits. during eruptions in the 19th century and more recently in 1991 and 1995. As per today, the volcano is in eruption or eruption may occur at any time. seeing smoke and fumes rising from the volcano after the earthquake and tsunami waves. The Geological Survey of India have said that the eruption was minimal. Its only after this that the actual condition of the volcano could be accurately assessed. smoke, it was learnt from official sources. Incidentally, yesterday, authorities had confirmed that the volcano at Bara Tang, also an uninhabited island, had started belching out mud to a height of 3 m above its mouth. 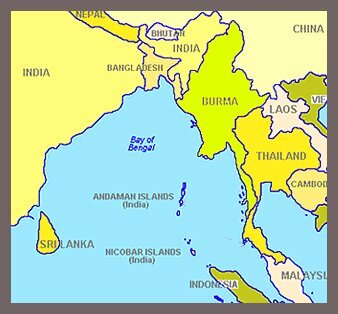 Andaman Islands. 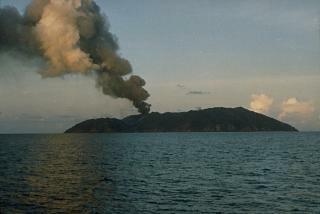 The first report said that a mud-volcano had erupted. As other reports later told that lava had been spewing our from the volcano, the confusion was complete, as lava doesn't come out from mud-volcanoes. eruption was up to three metres and there was considerable heat. from Port Blair. People live on the other side, but there is no cause for concern. Tuesday night and there are no reports of injury. Lava was flowing out of the rim of the crater. and last erupted in 1996. It runs about 150 fathoms under the sea and usually gives off smoke. kilometres (60 miles) from the capital Port Blair. There were no reports of injury. barricades." Some 2,000 people live at Baratang. 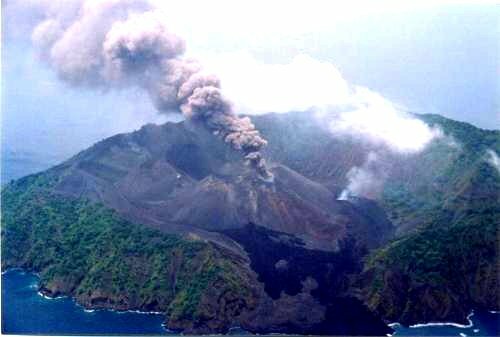 Official sources earlier mistakenly sited the volcano on Barren Island, site of a crater traditionally known as the only active volcano in India." So what has really happened, is absolutely NOT clear from our side yet. Latest news always on top. Below is older history. bombs, lapilli, and ash to heights >50 m.
pulsating fountain, to  m height, more intensely than during the previous visit on 16 May. Satellite monitoring had indicated a temperature of 1,100°C around the vent on 6 May. with one branch extending along the NW and W valleys, and a new branch extending S.
shore. Vigorous boiling and thick jets of steam were observed for 100 m along the shore. y dropped to <10 cm (Srinivas, 1991). Nearby coral was destroyed.